Manufactured from very High Synthetic Rubber, it handles extreme pressure and temperature and extreme wear and tear. 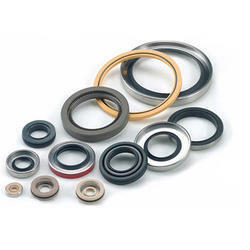 We are highly engaged in offering optimum quality OEM Crankshaft Seal in the market. Sizes available bore: 6 mm to 72 mm , Double-Lip & Single-Lip. On account of our dedication and hard work we are able to meet the needs of our honorable patrons with a superlative range of Crankshaft Drive Side Oil Seal. 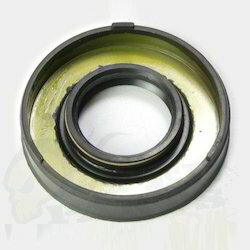 We are one of the most reliable companies in this domain and are into offering Crankshaft Oil Seal.